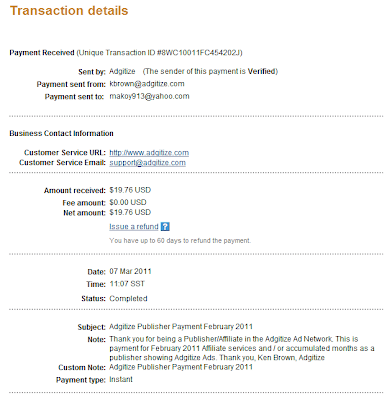 This is my Adgitize earning for the month of February 2011. February is just 28 days so I didn't even reach the $20 mark. 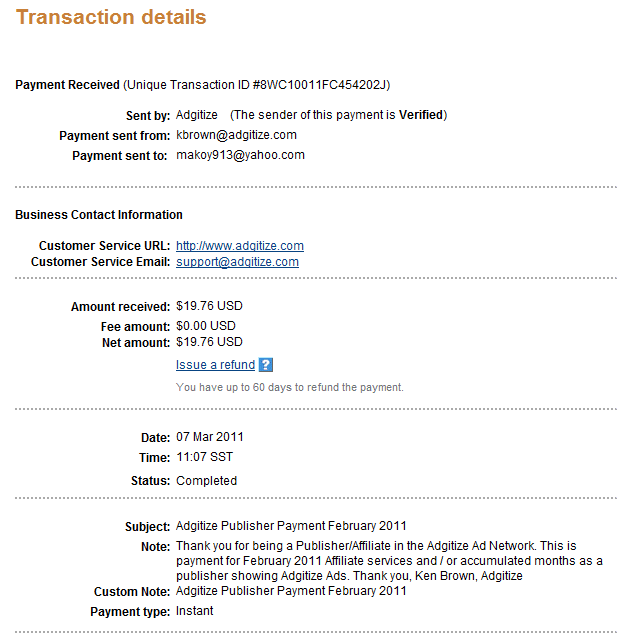 Thank you Adgitize for the $19.76 pay check!